On December 30, 1974, a 17 year old male with a hunting rifle began shooting people at the Elementary school in Olean, New York. He began at 2:50 p.m. The wounded were evacuated at 5:20, and he was taken down afterward. He killed three, wounded eleven. One of the murdered victims was simply driving past the school. 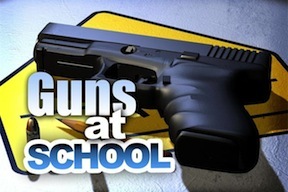 Firearm related tragedies in public places, including schools, are nothing new. The question remains: How do we stop it? Take guns away from everyone? Worked in Europe, right? Wrong. Since 1995, there has been mass shootings, and school shootings, all over Europe. 1n 1996, a deranged man in Dunblane, Scotland killed 16 children and their teacher in an elementary school before turning the weapon on himself. 2002, in Erfurt, Germany, 12 teachers and two students are murdered by an expelled student. 2009, nine students, three teachers and three passers-by are killed by a former student in southern Germany. And in England, with some of the most strict gun laws in the world, 12 people are killed by a 52 year old taxi driver in Cumbria. We know that the maximum carnage at the scene of a school shooting, restaurant or mall shooting, will occur prior to the arrival of the police. Any effective response must come from armed persons already at the scene! And in the case of schools, that would most likely be school employees, whether faculty or staff. Wait. Just felt an earthquake. Or maybe it was the shock of the liberal left as they grabbed at their hearts in unison. "Guns in school? Armed teachers? Are you insane?" Or my favorite, "This is New Haven. Nothing ever happens in New Haven!" I have stood before the bodies of children shot and killed, elderly people stabbed and left to bleed to death, angry loners shooting at people they don't even know, and domestics turned violent. And as a cop, I know that I am not carrying the pistol on my side because it helps my posture. It's here to defend against those who would do me harm. Do we owe any less to the helpless kids at the school? We all know what happened in Newtown, Ct. However, do you remember Pearl, Ms? On Oct. 1, 1997, a 16 year old boy (Please note: I will not name any of the shooters. I refuse to give them the infamy they want.) stabbed his mother to death, then took a 30-30 caliber hunting rifle to school, where he killed 2 and wounded 7. Unlike the rifle used in Newtown, he had to reload after each shot. During this, an assistant principal named Joel Myrick ran to his truck nearly 1/2 mile from the school (because no guns are allowed within that distance. Guess the shooter didn't know about that law. ), returned and pointed it at the killer, who immediately surrendered. His written plan had been to drive to the elementary school while the police were on the way to the high school, and kill some younger children. At the Appalachian School of Law in Grundy, Va., a former student opened fire, killing three and wounding three. Two other students, ran to their vehicle, retrieved their own guns, and ran back to the fight. When confronted with the other weapons, the shooter dropped his weapon and was captured. You may recall the shooting at the Luby restaurant in Killeen, Tx. in 1991. The man drove his truck into a restaurant in an area where guns were illegal, and began shooting, reloading five times, killing 15 women, 8 men, and wounded 19 prior to police arrival. However, you may not have heard of a similar incident at a Shoney's in Anniston, Al. two months later. Three armed men hearded the customers into the back, when one managed to open fire with his own gun, killing two of the men while a third escaped. All had armed robberies in their criminal past, and one had recently murdered a hotel clerk. At the Eighth Grade dance for Parker Middle School in Edinboro, Pa. in 1998, a 14 year old with a stolen gun killed one teacher and wounded two students before surrendering to a man with a gun. His fantasies of mass murder and a glorious suicide slipped away as he looked down the barrel of a shotgun. Good intentions aside, the sign that says "Gun Free Zone" is an invitation to those wanting to kill the helpless and get their names plastered in the media to live forever in infamy. How about a sign that says "Faculty Armed for Protection of Students"? The Franklin County Sheriff’s Department is working on an extended training course for teachers whose administration and board are forward thinking enough to allow teachers to be armed. And, in the spring, my own company will be teaching a CCW course at no cost for teachers of the New Haven School District. It's not for advertising, or because of my belief that, in the words of author Robert Heinlein, "An armed society is a polite society". But, after 25+ years in Law Enforcement, I realize that most mass killers are actually just cowardly bullies, and won't risk a fight when they can find helpless victims corralled in a school like fish in an aquarium. Every officer in New Haven has been through training in response to school shootings, and we have it down to an art. We spend time in both the Elementary School and High School, and have been welcomed there by giving us rooms to use as sub-stations. However, we can't be there all the time. We are limited by the uncontrollable factors of our jobs. But one or more faculty members armed and trained and with the safety of the children at heart, can stop these attacks before the body count reaches the peaks of Columbine, or Virginia Tech. Certainly, I am not advocating arming all teachers and staff. If someone doesn't want to carry a gun, one should not be thrust upon them. But one or two, possibly former military, is all that is needed to prevent a situation like this. 2. If the principal had a 5 round .38 revolver, she could have shot the gunman from the cover of the office walls and stopped this before it went farther, or at least delayed him, giving police more time to arrive. Either way, at least she would have had a fighting chance. "They don't have this problem where guns are illegal." Yes, they do. Perhaps less often, but just as violent and just as deadly. "If only guns were taken away, this wouldn't happen." This will not happen as long as other countries still have crime. Guns, like cocaine and heroin, will make its way here. "This won't happen here." That's the worst kind of stupidity, and should be considered criminal. It hasn't happened YET, and we have one chance to prevent it. It’s time to pull your head out of the sand and learn to live in today's world.